*CASE ONLY--MULTI-TOOLS ARE NOT INCLUDED! 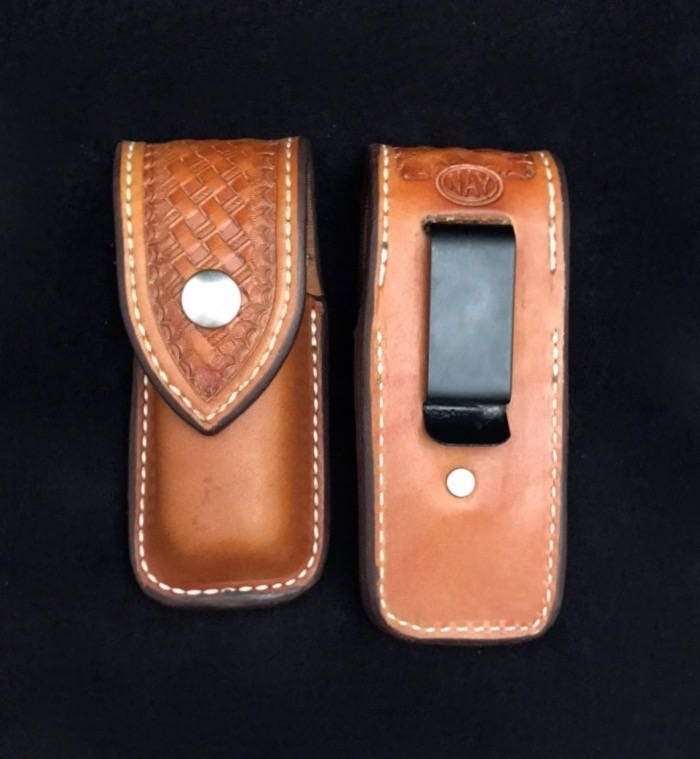 This product is a custom leather case/sheath for your favorite multi-tool that has a holster clip rather than a leather loop! David does great work! The sheath has not left my hip since I got it in the mail. He even let me change from a belt clip to a belt loop at the last minute. 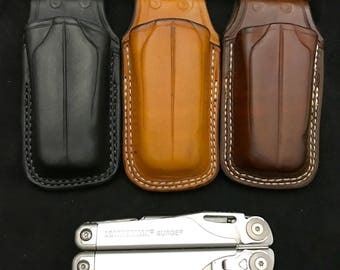 I liked the sheath for my Leatherman so much that I just placed an order a few days ago for a sheath for my folding knife. This was exactly what I wanted. Beautiful craftsmanship.